Description: I headed over to the very place you show off your fanciest fonts and most amazing avies: The Avatar Chat. I asked the players there what kinds of avatars they would like to see in the (hopefully not too distant) future. I`ve split the suggestions into different categories corresponding to which area of the site they`re related to. Your Favourite Faerie: What Does It Say About You? 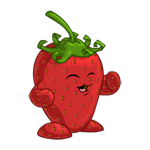 Description: You may be hard pressed to find a person on Neopets who doesn`t have at least one favourite faerie. From light to dark, valiant and mischievous, kind and evil, there are faerie characters to fit any personality. What does your choice of favourite faerie say about you? How does it reflect on your personality and interests? Read on to find out! Description: In this article, I want to bring the Ogrin out into the spotlight and hopefully raise some awareness about the species. Every Neopet deserves to be loved, and although the Ogrin does have devoted fans and doting owners, having a few more in Neopia wouldn`t hurt. Description: Have you ever wondered what your Neopian starsign is? he twelve protectors of Altador each have their own constellation in the sky, all of which were discovered during the Altador mini-plot. Let us explore what they all represent and find out what each sign says about those born under it. Description: Have you ever wondered what your Neopian sign is? In my previous article on Neopian astrology, I wrote about the protectors of Altador and their constellations in the night sky, and this time I`ll be exploring the Shenkuuvian belief of how everyone born in a certain year possesses the quality of the Neopet ruling that specific year. Description: Another year has gone by, and Y17 certainly gave us a lot of nice Neopet colours. It saw the release of a brand new Paint Brush, and most Neopet species were treated to two lovely new colours at the Rainbow Pool. Looking back through the entire year, at all the new colours, I have chosen my favourites from each month. Description: The Uni is known for being the most vain Neopet of all. With currently holding the sixth place overall of the most popular Neopets, they have every reason to devote hours of their day to improving (and admiring) their appearance. In this article, we will be taking a look at various grooming items made especially for Unis, as well as useful books for Uni owners looking to make their Neopet the prettiest one around! Description: Illusen Day is my favourite Neopian day of all, the day we celebrate the kind and brave Earth Faerie. How much do you know about Illusen? Have you ever attempted to complete her quests, or perhaps you have created a gallery in her honour? This quiz will put your knowledge of Illusen and Earth Faeries to the test, have fun! Description: In this article I`ll be going through the alphabet and listing anything related to Cybunnies from A to Z! I look at everything from avatars to Cybunny characters, books and wearables. Description: In celebration of Kau Day, I have compiled a list of various things concerning the species. Here you`ll find everything from famous Kaus, to notes on artwork, reading tips and customization suggestions. Description: Everyone is afraid of something. What is your worst nightmare? What is the worst thing you can imagine happening to the Neopets site, or the world of Neopia? Description: To celebrate Acara Aquatic Festival, or Acara Day, I have put together a list of famous Acaras, trivia and facts about Acaras from A to Z. Join me as we wander through the alphabet and discover more about this great species. Description: What better occasion than Tuskaninny Day to ask my fellow Neopians why this Neopet is so underrated. They`re super-cute, available in a variety of colours and have great species-specific clothing sets. So why are they not more popular? Description: I started writing for the Neopian Times two years ago. I had my eyes set on that beautiful NT Star avatar, and after my first two publications, I really felt on a roll. I kept on writing and submitting on a regular basis, always looking through the Neopian calendar to check for upcoming pet days and events that would inspire me to write an article or list of some kind. Description: There are many different faeries in Neopia, and they all have unique, distinct personalities. How does your own favourite faerie reflect your own personality? Do you have a lot in common, or are you nothing alike? Read on to find out! You remember hearing once that Mystery Island was a luxurious tourist destination. The beaches were said to be sprawling affairs of silky white sand, with water iridescent enough to rival Neopia's finest gemstones. The locals were supposed to welcome you with garlands of flowers and fresh coconut milk. Sure, the sweltering temperatures might be considered something of a deterrent, but no one books a tropical holiday with the expectation of snow.